As I mentioned in my previous post, I made a new year resolution to eat healthier. 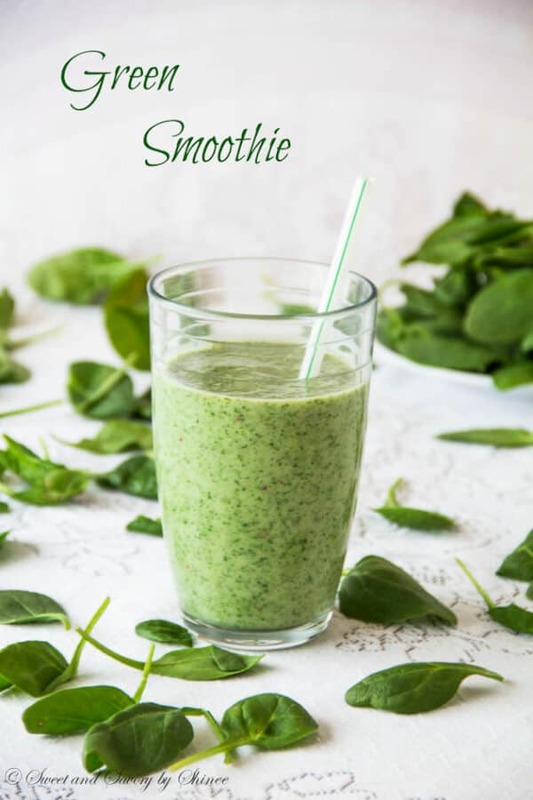 I’m so excited to share this amazingly delicious smoothie with you today. 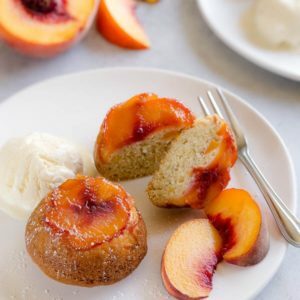 It’s perfect as a post-workout snack. I love the color of this smoothie. So green, so healthy, and so satisfying. 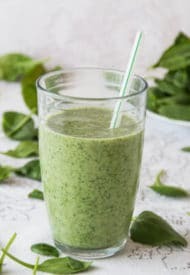 What makes this smoothie so green? Well, the answer is pretty straightforward. 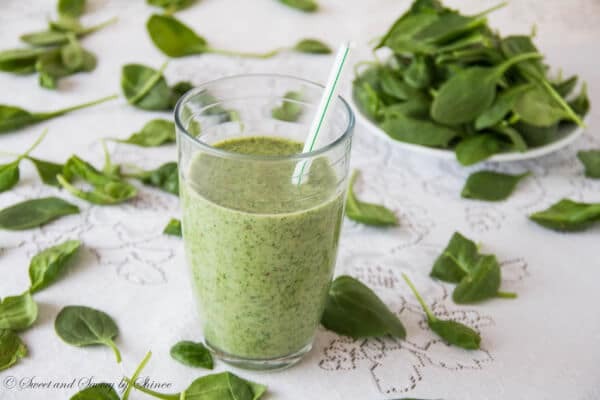 🙂 Bright green spinach leaves are rich with vitamin C, as well as other vitamins and minerals. 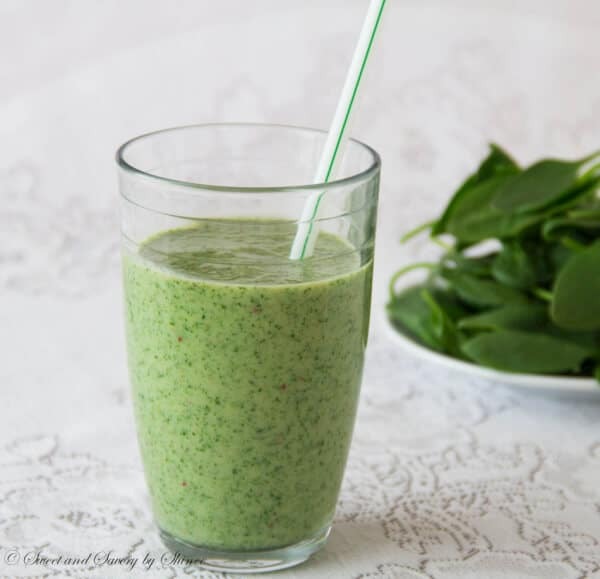 And did you know that the best way to consume spinach is in smoothies and juices? You won’t even taste the spinach. 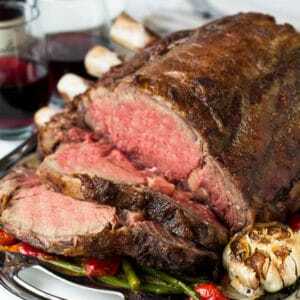 Its role is just to provide all the nutrients and beautiful color without grassy taste. 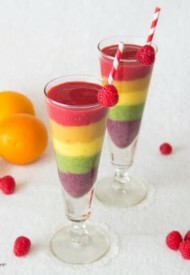 What makes this smoothie so healthy? All the ingredients are packed with different vitamins and minerals. What makes this smoothie so satisfying? Greek yogurt is high in protein; as a result it keeps you full longer. 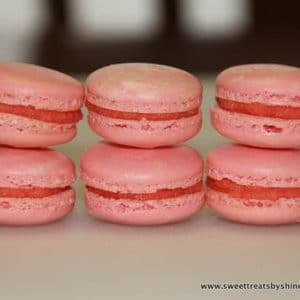 Plus, Greek yogurt provides creamier texture. 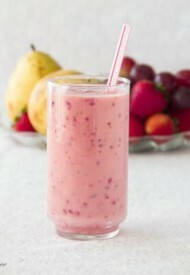 I hope I gave you enough reasons to motivate you try this smoothie. 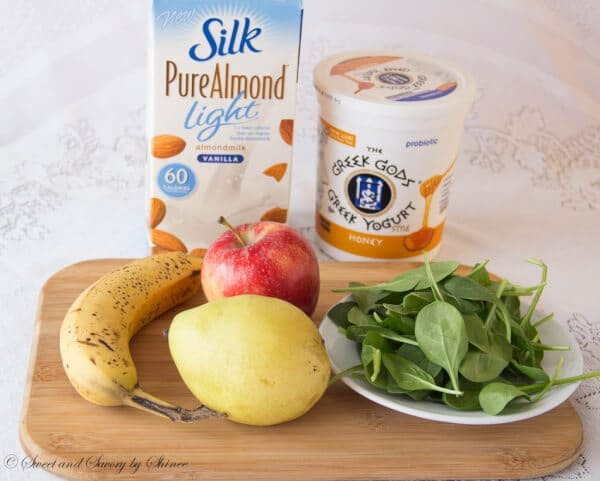 To make this smoothie, you will need one banana, one pear, one apple, handful of spinach, 2-3 tablespoons greek yogurt, and a splash of almond milk. Depending on how thick you like your smoothie, adjust the almond milk amount. 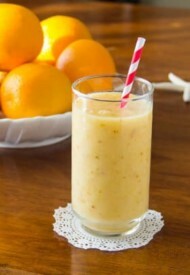 Blend all the ingredients in the blender and enjoy! 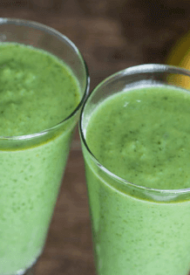 This creamy green smoothie will satisfy your taste buds and keep you full longer. Blend all the ingredients in the blender and serve. Adjust the almond milk amount, depending on how thick you like your smoothie. Mash ih bayarlalaa, Anujin! Minii blogoor zochilsond mun bayarlalaa! Zia tegeed dagaj hiigeed nadaa bas haruulaarai. 🙂 Amjilt! Wow unen nice blog bnaa. 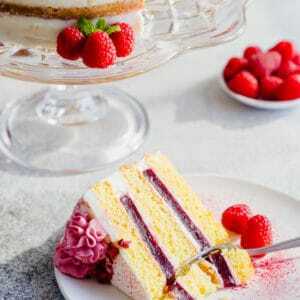 Anujingiin blogoor damjij bj olloo hehe… Yasan ch goyo goyo yum hiidiin, odoo dagaad l hiigeed bdag hereg. Daanch hool hiihdee muu gejigaa :(, gehdee hicheenee. 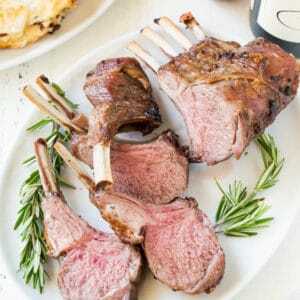 Tsaashdaa ulam goyo goyo hoolnuud hiigeerei. Bayarlalaa, Dulguun! Blog maani taalagdsand bayartai baina. Minii delgerengui zuragtai zaavaruud tuslana gedegt naidaj baina. Amjilt!